SEATTLE, WA APRIL 8, 2019– Foss Maritime Company announced today that seasoned corporate executive Sloane Perras has joined the company as Vice President, General Counsel & Chief Ethics Officer. Perras will lead the company’s Legal and Risk Management Group where she will provide legal counsel, advise on business strategies and best practices, and direct ethics and compliance programs. Prior to joining Foss, Perras served as Chief Administrative and Legal Officer for The Krystal Company—a privately held retail brand. Perras regularly reviewed the company’s enterprise risk strategies, financial controls and flows of revenue. She managed the risk management functions and provided enterprise strategy for innovation, regulatory compliance and HR risk mitigation. In addition, Perras worked closely with the leadership team on corporate governance, including reporting directly to the Audit Committee on cyber and privacy issues. 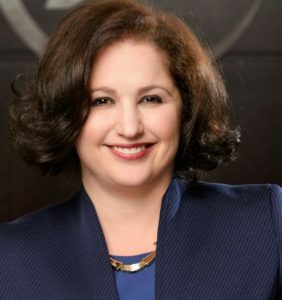 Prior to her role at The Krystal Company, Perras was Acting General Counsel for Aaron’s, Inc; a Fortune 1000 national leader in sales and leasing of rent-to-own home goods. Before joining Aaron’s she worked in companies involved in the global supply chain. As an in-house lawyer, she was the Vice President, Assistant General Counsel & Assistant Corporate Secretary of Americold Logistics, LLC and corporate counsel of Expeditors International of Washington, Inc. (“EXPD”). Throughout her supply chain background, she has addressed significant regulatory and compliance matters, especially around global enforcement protocol.